Bethesda's E3 2018 showcase is now over and many of us are still reeling from the excitement! With a showcase that thousands and thousands of gamers are calling their "best one in years," some even saying ever, there was a lot to enjoy. 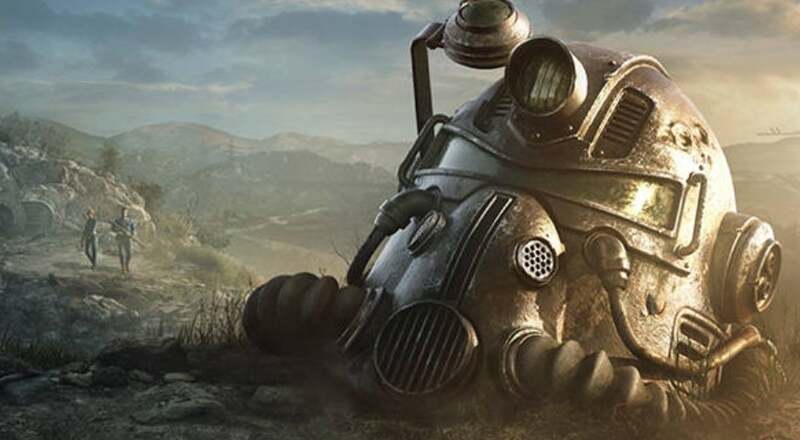 Not only that, but the developers delivered on their promise of an in-depth reveal of Fallout 76 and for the most part fans are interested in seeing their much smaller take on the "MMO" genre. Though, predictably, not everyone is happy. The map of Fallout 76 promises to be four times bigger than that of Fallout 4 (which was huge). Pair that with the fact that the online experience will pair your with a player size of no more than 12, the likelihood of running into enemy players won't be terribly common. Still, many are think of this move as an assault on single player despite the many assurances that it can absolutely played solo with no problem. One such player by the name of Andrew Ngeyen has even started a position to stop Bethesda from trying out something new. "Since 2008, Bethesda has given their fans the opportunity to roam vast wastelands, take part in epic adventures, and create stories to tell for years to come. With the anticipated release of the new Fallout 76 coming in November, all of that has been taken away. The Lone Wanderer was meant to wander ALONE. Sure, it would be fun to play with others and experience the wasteland alongside other real players, but the heart of Fallout has always been conquering the wasteland by yourself. This petition was created to have Bethesda include a solo campaign ONLY, if one is not already in the works. Please sign, and please make sure Bethesda allows each and every one of us to have the wasteland of West Virginia all to ourselves. Thank you." The game itself isn't on a scope that many seem believe. A common complaint (which is rare, the reception has mostly been positive since last night) that I'm hearing is that "I don't want to be forced to play with other people." But Bethesda knew that and they structurally built the game around that very fear. A gigantic map filled with many, many locations and a server of only 12 people? It's not an MMO like people are thinking and it's nothing like The Elder Scrolls Online. My take? Bethesda is trying something new without drastically changing the game itself. The lore aspects of the Wasteland are very much present and it gives us an inside look at how this entire epic franchise began. The prequel of all prequels. As someone that doesn't necessarily like to play online games unless in small doses, I really don't think the game is set up to be like many are negatively claiming. In fact, it looks like an incredibly promising hybrid!